Marina Chavez Kris Kristofferson: Merle Haggard's biggest fan — and current tourmate. 8 p.m. Wednesday, March 9. 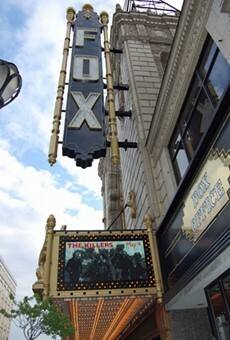 The Fox Theatre, 527 North Grand Boulevard. All ages: $48 to $68. 314-534-1111. For many, country music is just twang and tradition, good ol' boys and wayward girls, Bible belts and trucker songs, an endless highway littered with clichés and sentimentality. A two-word response to such nonsense is enough: Kris Kristofferson. With his supremely evocative lyrics and generous and grand melodies, Kristofferson helped transform the image and soul of country music — not really by breaking the rules, but by holding himself to the gold standards of songwriting (Hank Williams and Willie Nelson). He trusted that his personal genius, whether delivered in his own teetering growl or in the sublime tenor of Ray Price, would find the audience it deserved. 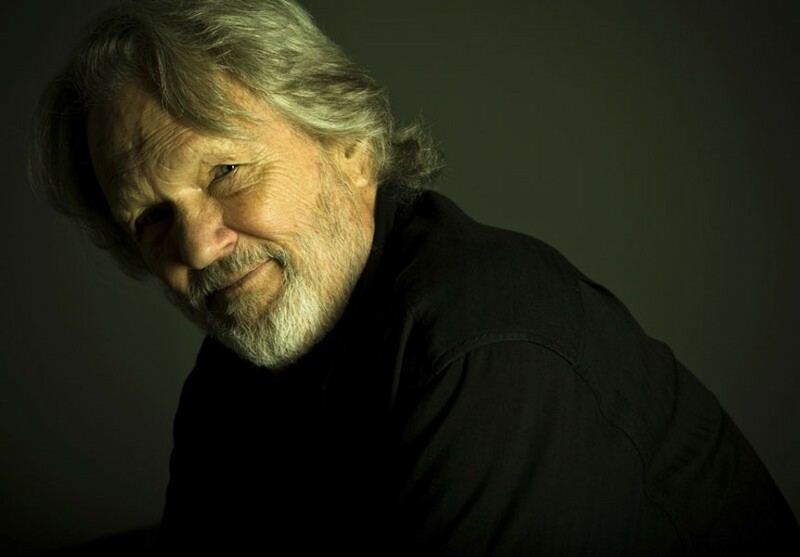 For the last 30-some years, Kristofferson has made his home on the island of Maui, returning to Nashville and LA to work in films and on his own albums. A tour with Merle Haggard brings him to the Fabulous Fox on March 9; the pairing may seem like a study in contrasts, but for Kristofferson it's the ride of a lifetime. On the phone from Hawaii, the legend shared his thoughts on working with Haggard and developing his own voice as a songwriter. RFT: It's exciting to have you and Merle coming to St. Louis. You both did a tour together last year as well. Kris Kristofferson: I love touring with Merle. He's my hero. The tour worked out real good — just a couple of his musicians. His son played guitar, and we just swap off songs. I enjoy hearing him more than I enjoy hearing myself! It was probably Merle's idea. It wouldn't occur to me to go out and sing with him. We've got a lot of mutual respect. It's been reported that you've said from the stage that Merle Haggard is the "greatest artist in American music history." That's a hell of a sound bite. Well, he's a songwriter and singer of a caliber all his own. He's the closest thing we have to Hank Williams or Jimmie Rodgers. You both came up roughly at the same time. He was ahead of me. He was our hero there, one of the undiscovered songwriters in Nashville, years before I met him. First time I met him my song was up against his for Song of the Year [at the Country Music Association Awards]. I think he had "Okie From Muskogee" and I had a cut with Johnny Cash, "Sunday Morning Coming Down." I was sitting behind him in the audience at the Ryman Auditorium. I had no idea who I was with. There was a bunch of great people up there with me. When they said my song won, I remember I leaned back hard in the chair, in the church pews they had for seats at the old Ryman. I hit my head on the back of the pew. He said, "Well, get on up there!" I went up there and mumbled something about how I was glad I wasn't up against "Today I Started Loving You Again." I don't think anyone understood me. The papers said I mumbled something indecipherable. But we've gone on to become great friends. There are still people who just think of "Okie From Muskogee" when they think of Merle. It's a catchy tune, but let's agree it's not his greatest work. It's a good song. It's a good expression of how a lot of people felt. The thing is, he's so far beyond that. God, the way he sings! It's like George Jones. He's just a great country singer. Do you have a favorite Merle song? "Today I Started Loving You Again" is a beautiful one. I've got so many favorites, I hate to single out just one. He continues to write them. His new album is full of great songs. There's a cliché in country music that it's just three chords and the truth. With Haggard songs and your songs, there's often that grain of autobiographical truth, but it's just a spark for a drama. That's one of the blessings of being a songwriter. You can use your experience for something more than feeling sorry for yourself or heading to the bar. You can make sense out of your experience. You put that experience into words that other people can identify with. And you don't even have to try to do that. If you sing it the right way or arrange it, it will make that connection. If you're honest and good at it, it's a wonderful way to make sense of your experience. As a songwriter you've brought a frankness, a philosophical view that wasn't absent from country music, but maybe wasn't so in the foreground. I don't think it was absent either. I was just trying to write songs with the best expressions, the best use of language. I was trying to be like Hank Williams, Roger Miller and Willie Nelson. Willie wasn't a star when I got to Nashville, but he was a hero of the undiscovered songwriters. We always thought he was too deep to make it. But of course he had his own ideas about that. That's one of the beautiful things about country music. People forget that a singer of such grace as Ray Price, some of his greatest vocal performances are on songs that you wrote and that Willie wrote. Maybe you have a tuxedo, but you're not known for that kind of polish. Speaking of Ray, I can remember, he probably cut my first great song, "For the Good Times." He cut a whole album of my songs. That was about the time I was starting out on the road and performing myself. I'd been out there a year. I remember he flew all the way from Tennessee to some place I was working out near San Francisco, to talk me out of performing and get back to work writing songs! I was getting a lot of work and having success I'd never imagined before, so I didn't feel like giving up. But I appreciate him flying all the way out there to try to talk me into being just a songwriter. Have you and Merle done any songwriting together? We haven't written anything together. I've really enjoyed sitting on his bus listening to his songs. We haven't been together that much. I'm sure if I was 30 years younger, but I don't write songs as fast anymore. It's possible. I'm glad you said that. I'll think in that direction now.